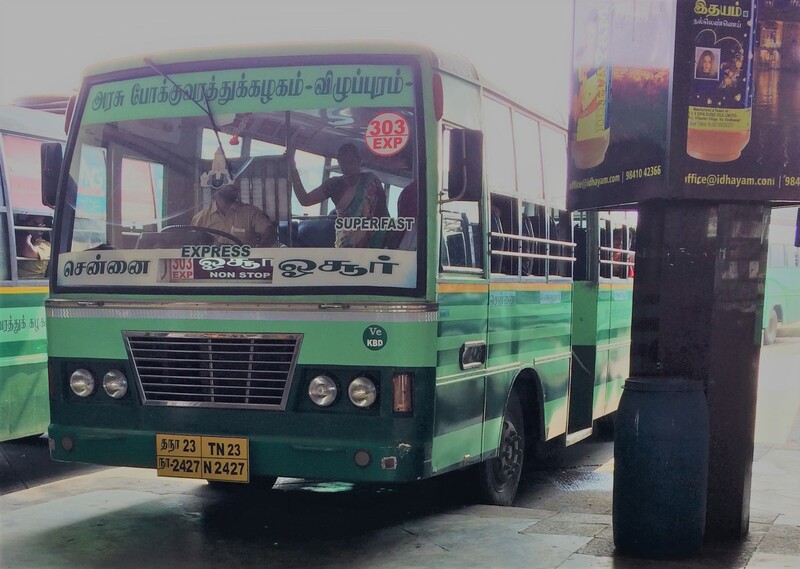 TNSTC operates express buses between Chennai to Hosur with route no: 303 Express. The bus operated is non stop bus service without any stops once it departs from its origin. The bus operated is an express category non ac bus built in Ashok Leyland chasis.